Two Giancarlo Stanton posts in a row! The guy is everywhere right now, and for good reason. The highest paid athlete in sports – just entering his prime years – set to attack home run records down in South Beach. Not too sure how we feel about the body paint cover, but it’s unique. And we can’t turn away from a guy we like so much making the cover. 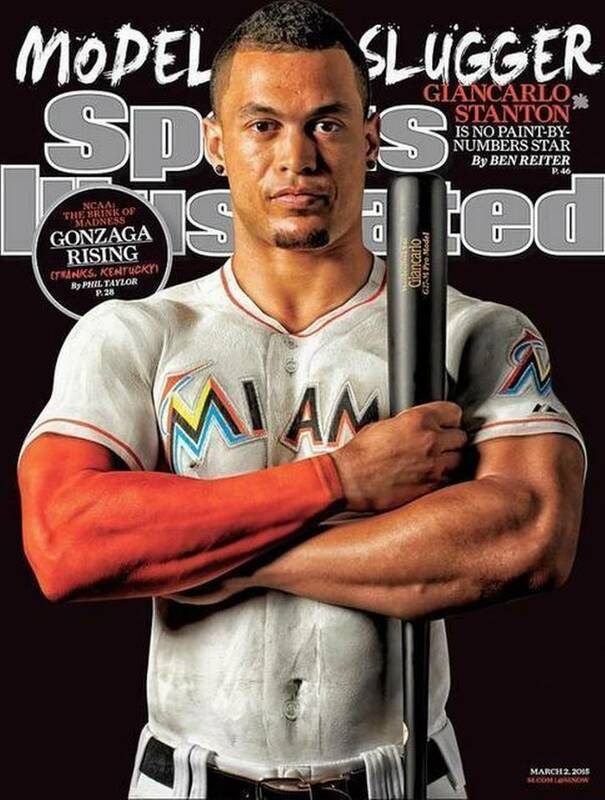 Stanton’s cover story is written by Ben Reiter, and he actually talks about being angered by the initial record offering by the Marlins. “I think they were thinking I was going to be like, ‘Oh, well, sign me up! '” Stanton says. He wasn’t. The Marlins are going to turn things around and prove to be a viable baseball organization yet. We like them, we believe in them. There’s already talk on Sirius XM radio that Stanton could receive ‘Barry Bonds treatment’ in not getting pitched to by opposing teams if guys like Mike Morse and Marcel Ozuna don’t do their jobs, but don’t worry about that. Some poor sucker on the mound will make a mistake they don’t live to tell about some 40 or so times this season and Stanton will cement himself as the game’s premiere player. That’s our prediction. Next Story → Can we just sit this guy until the season begins, please?